You will receive 3 mini F-Bombs that measure approximately 1.75" x 2"(not including wick). 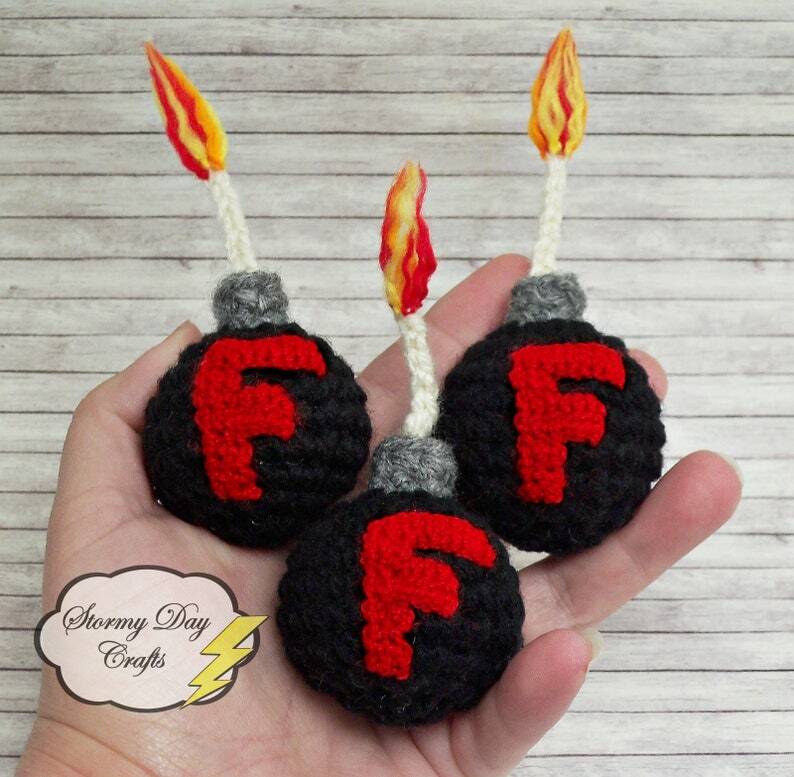 These mini bombs feature a red F on a black bomb with a "lit" fuse. Because they are made with acrylic yarn and stuffed with poly-fill, you can safely toss it around without causing bodily injury. Perfect size, well made, great price, and recieved them quickly - awesome overall experience! 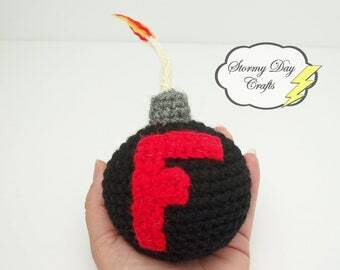 Absolutely love my F Bombs - can't wait to share them! And the Thank you gift - awesome! These were a gift for a friend and were so well received! She ended up giving one away because everyone just loves them! I will have to get a few more for sure. I can create custom designs on most of the items I make. It takes 1-3 days to design & complete finished piece. Total time can be around 7-14 days depending on size of orders. Custom orders must be paid in full prior to any work starting. If the custom order is canceled after work starts the refund will only be 50% of the purchase price. I will send pictures of progress in the design phase and of completed work for buyers approval. Once design process is complete and the creation of item begins, no changes can or will be made. We do not accept coupons or discounts on custom items. Unless your order is a custom order most of our items are ready to ship within 3 business days. 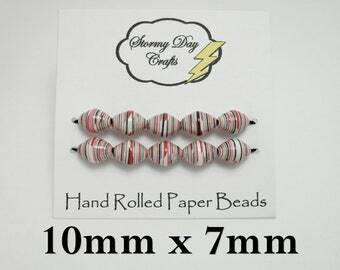 Custom orders take 7-14 days to process, please note that this does not include shipping time. Orders process in the order they're received. If the order is time sensitive please contact me and we will see what options are available. Please be aware that there are extra charges on orders of this nature. 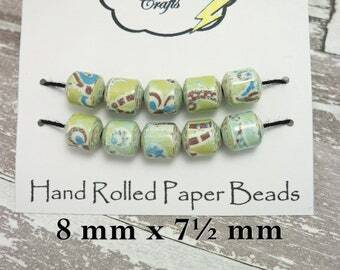 The beads are sealed for better durability. This makes them water resistant and not 100% waterproof. So a light rain would be okay but not a shower and they really frown on helping with the dishes. If they get dirty wipe with a lightly dampened cloth. ******WARNING CHOKING HAZARD****** Small Parts. Not suitable for children under 8 years of age. I ship USPS First Class usually within 3 business days in the US and worldwide. Items shipped within the U.S. include tracking. Items shipped outside the USA are not guaranteed to have tracking but may include it. ***I do not offer insurance*** If you would like to insure your package contact me for new shipping rates. I am not responsible for any lost, stolen or damaged items once I ship your package. All shipping costs are calculated so cost will vary by shipping locations. If purchasing multiple items please contact me if the shipping rates seem excessive. Shipping usually does not got above $6.00 for orders shipped within the USA.